"Communio was founded to attract and bring together Christians simply on the basis of their common faith." 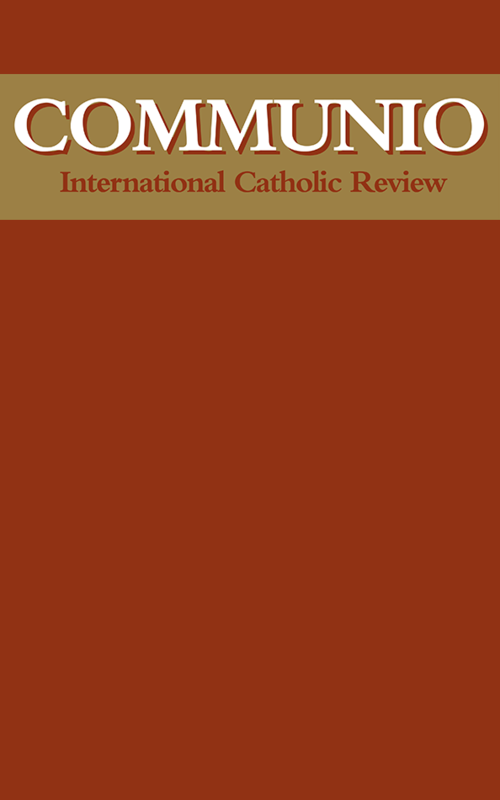 When the first issue of the International Catholic review: Communio appeared at the beginning of 1972, there were two editions, one in German and one in Italian. A Croatian edition was also conceived at the outset. A preface by Franz Greiner served as the introduction to the German edition. Common to the two editions was the fundamental theological contribution of Hans Urs von Balthasar's "Communio: A Program." When we read these pages twenty years later, we are astonished at the relevance of what was then said. Its effect could still be explosive in the contemporary theological landscape. Of course, we could ask to what degree the review retained its guiding principles and what can be done now to do greater justice to them. An examination of conscience of this sort cannot however be the topic of my talk. I will only try to refresh our memory and strengthen the resolve which was present in the beginning.